Pedicure File. 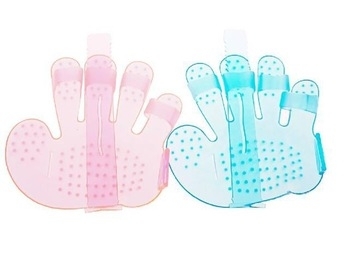 This pedicure file is ideal for exfoliating feet and heels. Includes one color imprint in one location. 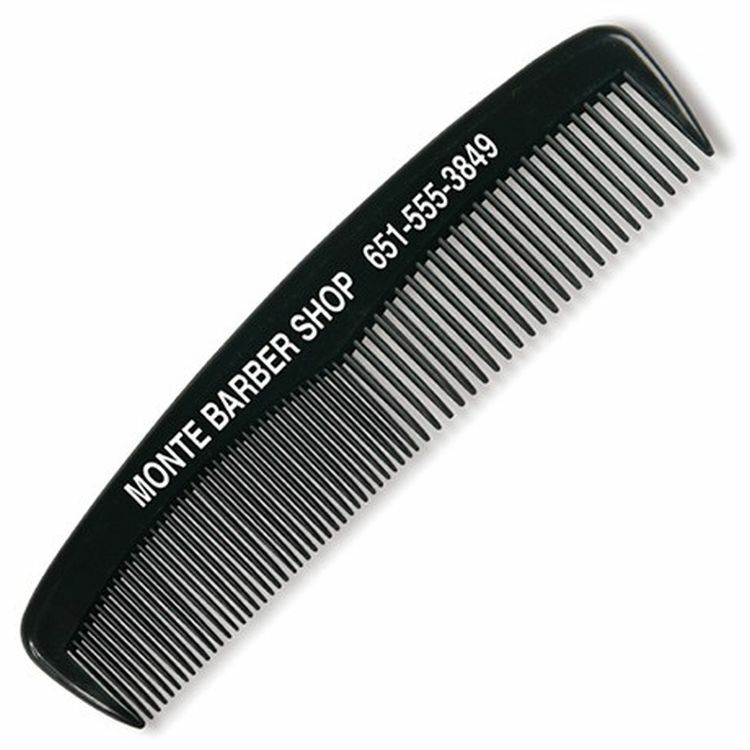 The comb is made of verawood materials. 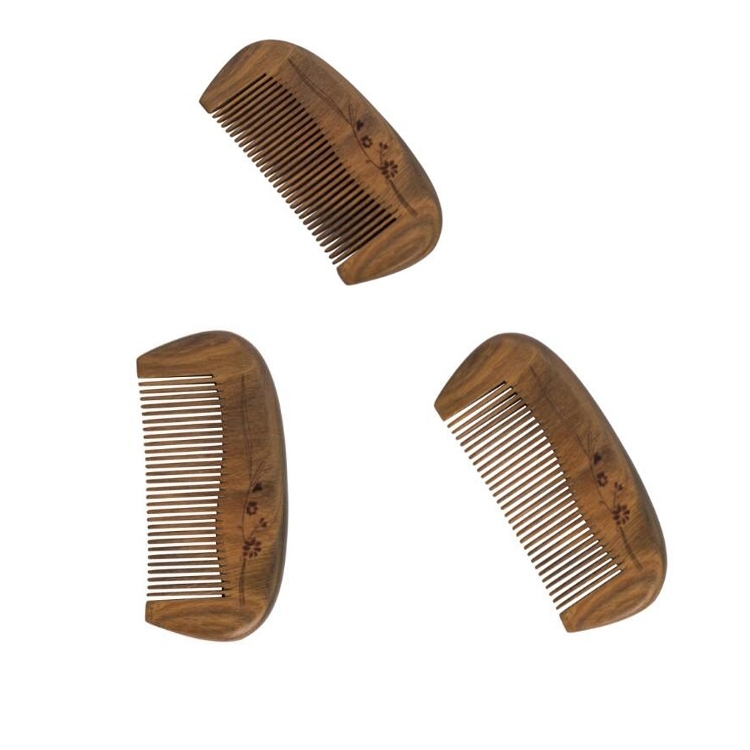 Woodsy aromatic scent of the comb will last forever. Price includes 1 color 1 side 1 location with laser engrave imprint. 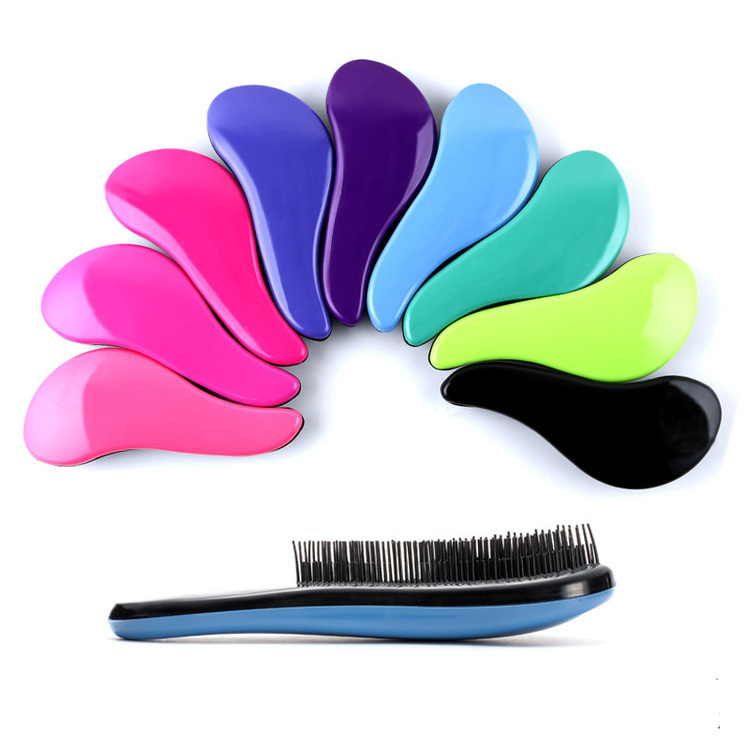 This portable massage combs teezer hair brushes is made of plastic. 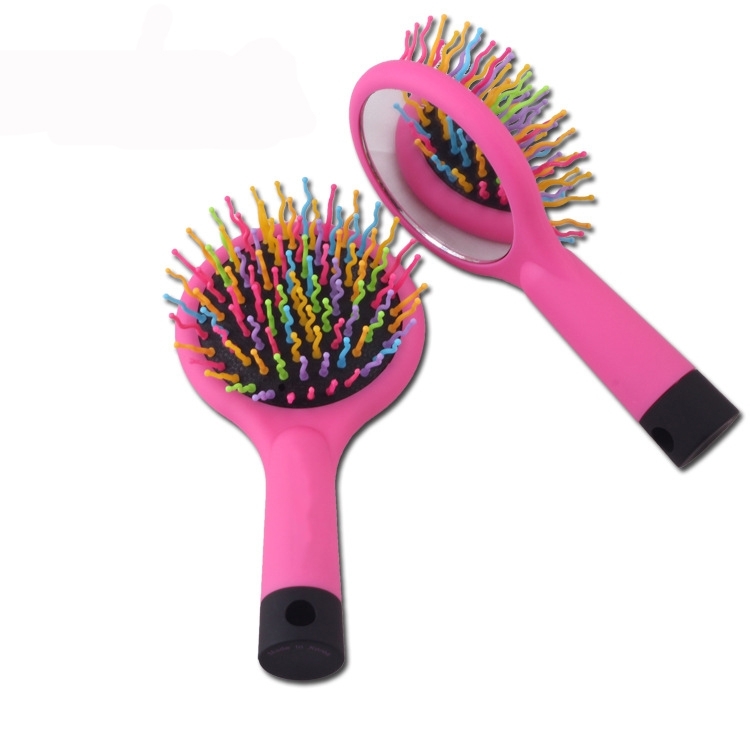 The unique cone shaped bristles work to separate the hair sideways, gently unraveling the toughest tangles. It won't cause pains but massage our scalp when we brush our knotted hair. 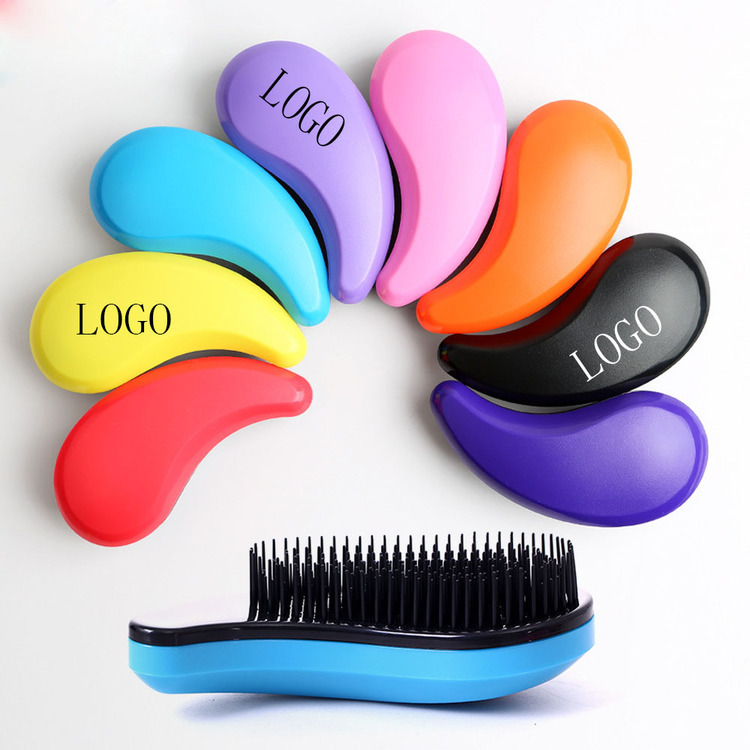 Cheap price, good quality and logo imprint make it a nice promotional gifts for your beauty salon!. This new folding comb mirror combo makes a great travel gift. It's small enough to fit in any purse or pocket. 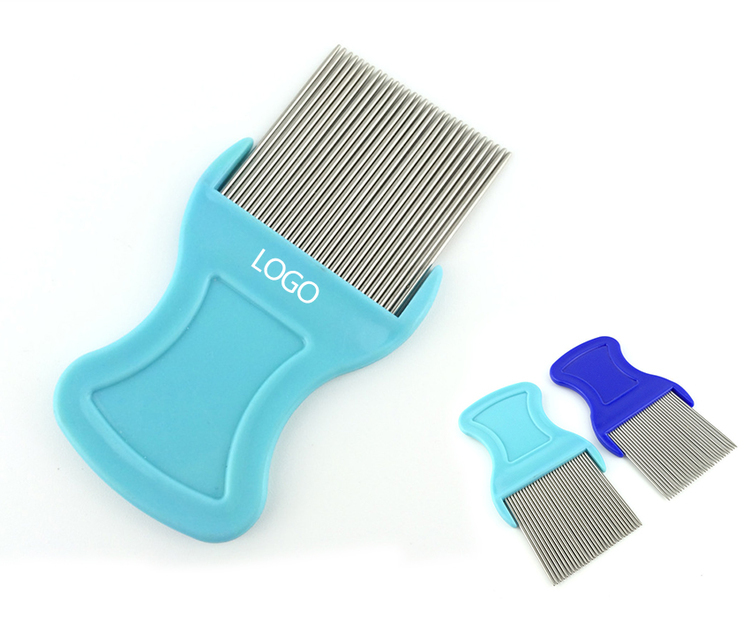 When opened for use, it shows the comb and mirror, then folds for easy and convenient storage. 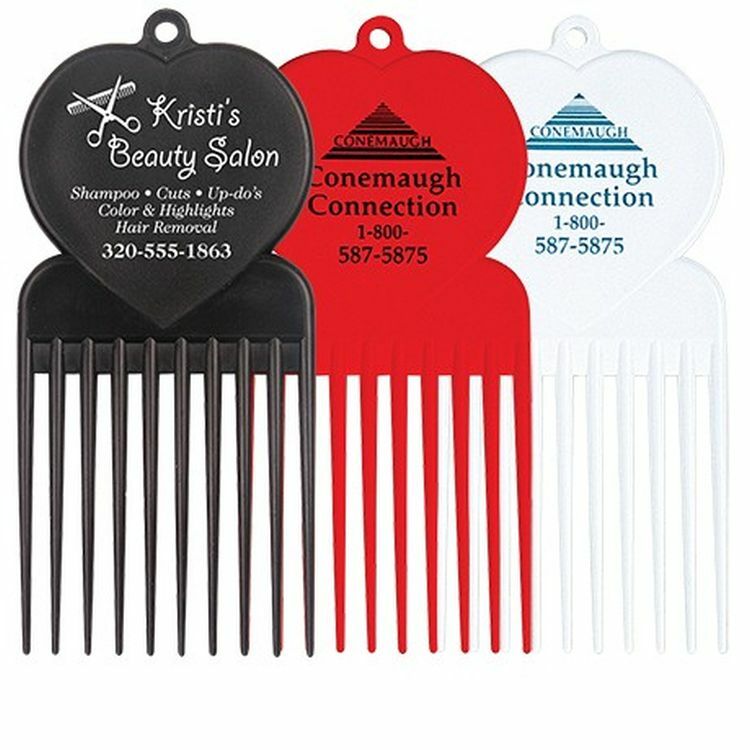 Ideal for hotels, trade shows, beauty promotions and salons, customize this handy giveaway with an imprint of your company name and logo for maximum brand exposure. Order yours today and watch a beautiful promotion unfold! 3 3/4" W x 1 1/2" L.
The comb is made from natural loadwood and Boar bristles. It is strong and durable. The mane protects the scalp and hair from damage, reduces static electricity, massages the scalp, and releases natural oils throughout the hair. 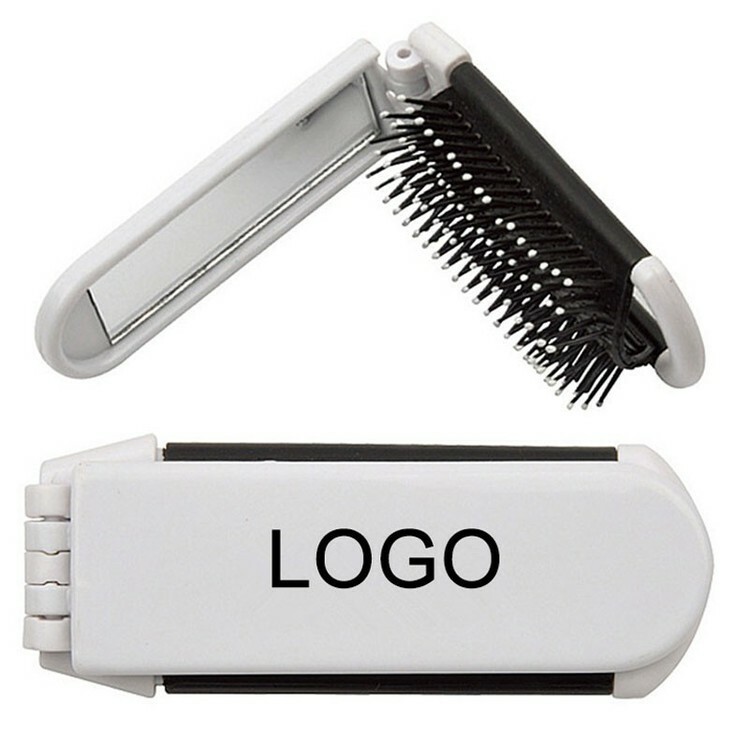 This is a very useful and good promotional gift with your logo laser engraved on it. 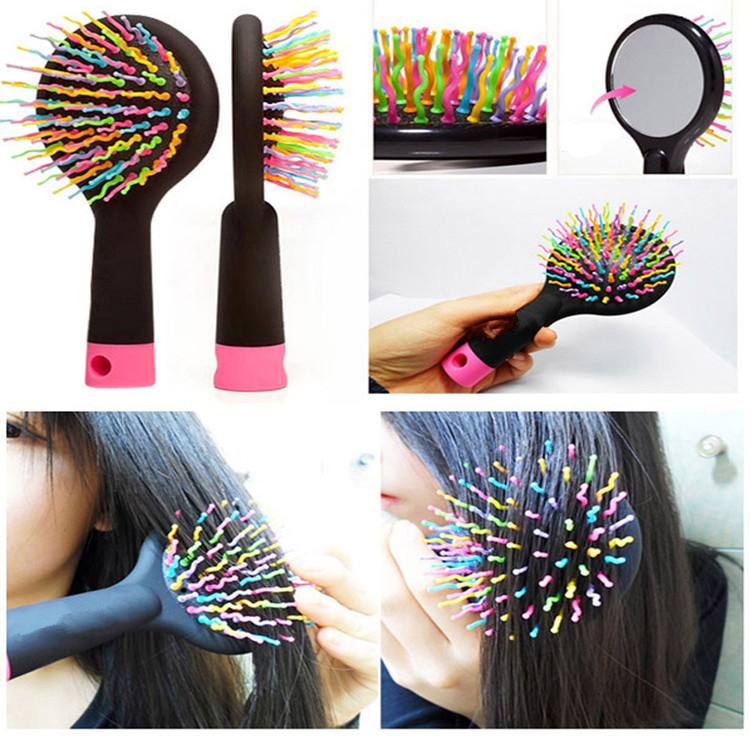 This hair brushes features like a brush and mirror, in a small package, so you can take your tools with you anywhere. Multiple color combination is optional and logo imprint is accepted. The handle on this metal man comb is made from stainless steel so it doesn't corrode, and the brushed finish keeps it looking fresh. Get creative with laser engrave on the handle. 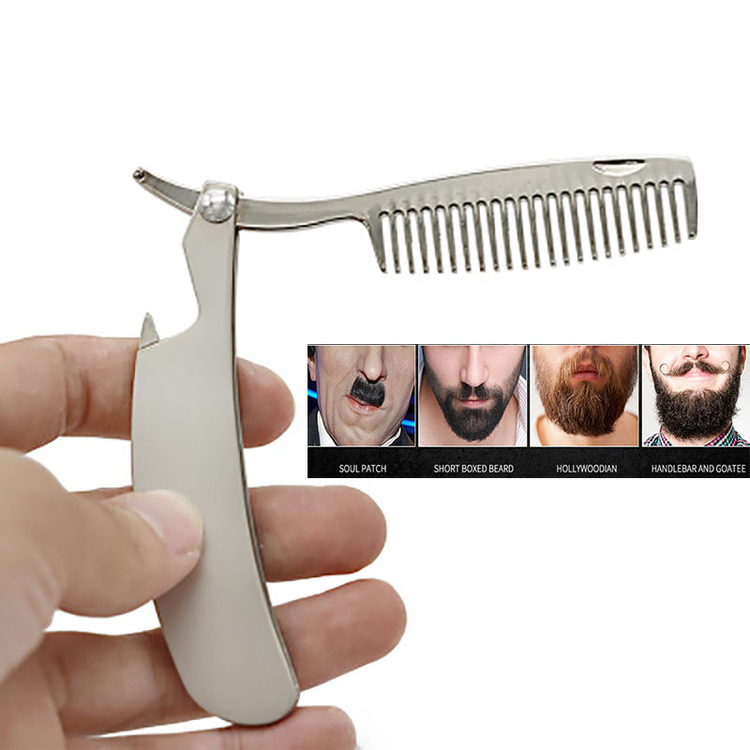 The comb is made of plastic. It is rugged and durable. 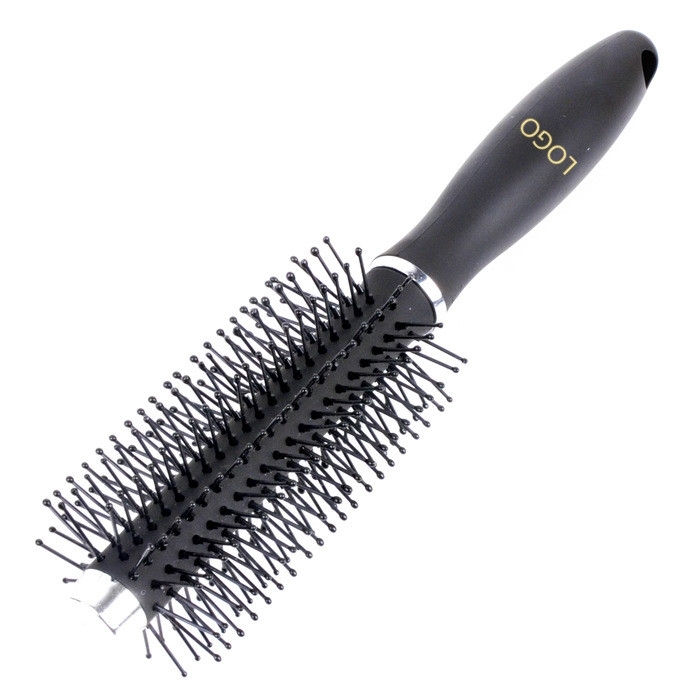 The bristles protect the scalp and hair from damage, reduce static, massage the scalp, and release natural oil throughout the hair. 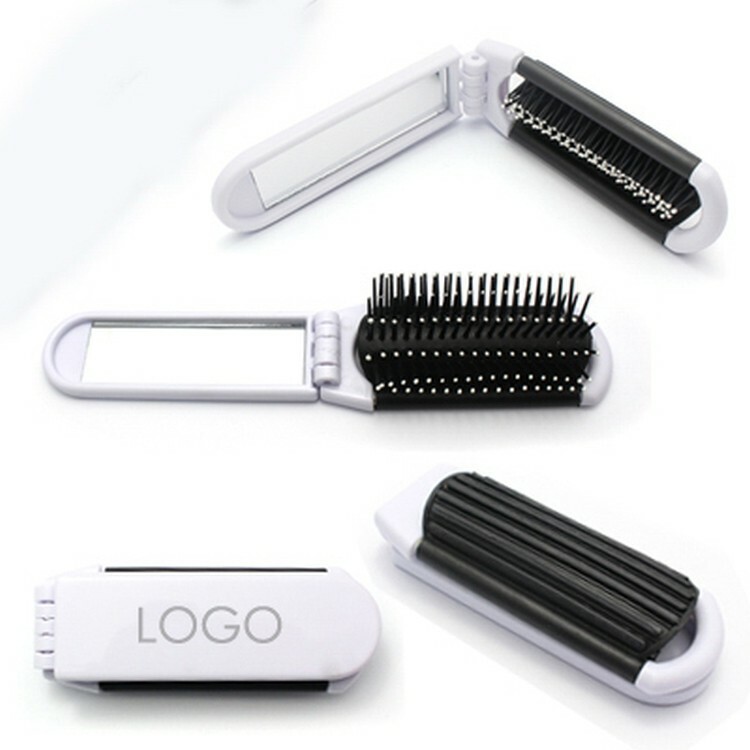 This is a very useful and good promotional gift with your Logo. 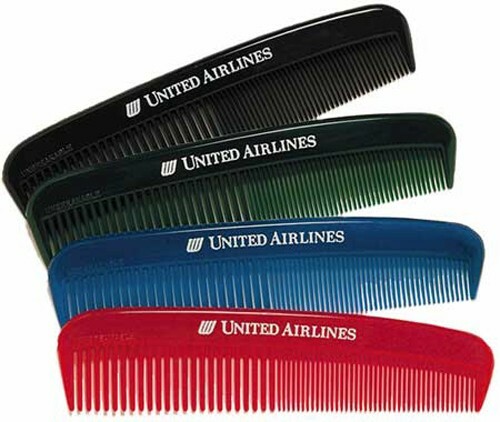 Our standard pocket comb is the promotional product that has been popular for many years and is just as popular today. Unbreakable poly material. Fits pocket or purse. 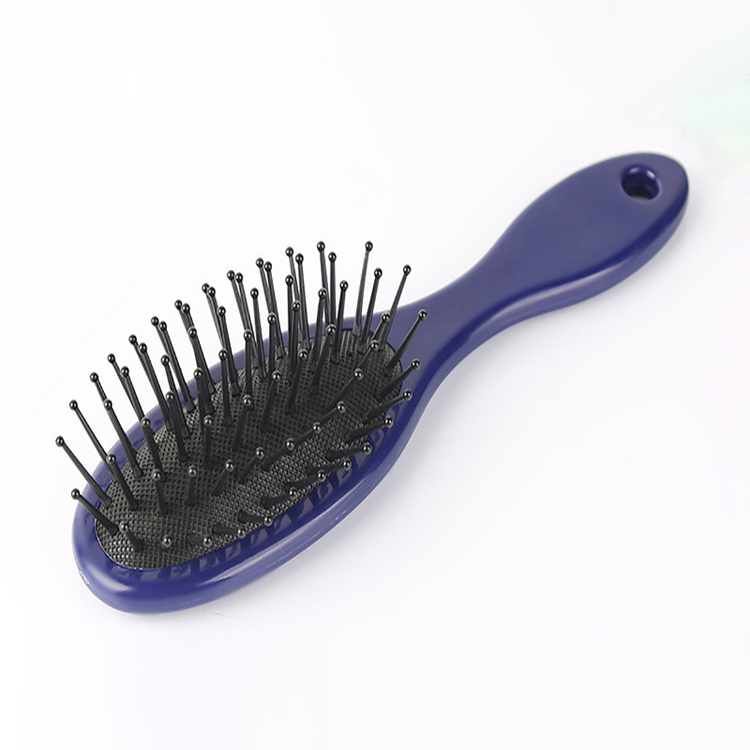 Pet massage brush is made of soft PVC. 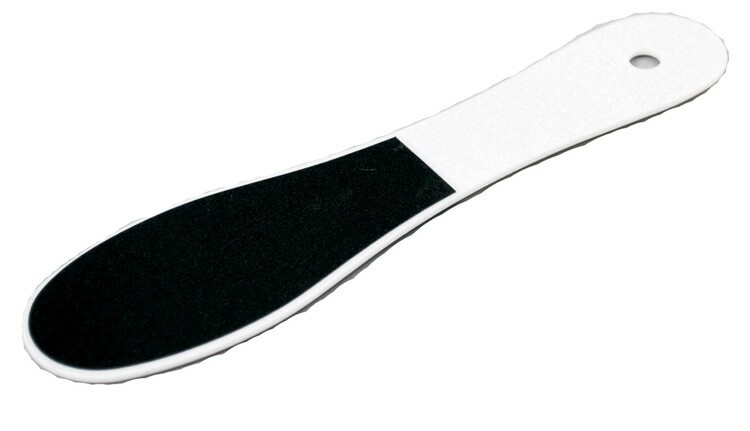 Slip on the brush to your fingers while the belt wraps around the back of your hand ensuring it does not slip and slide. 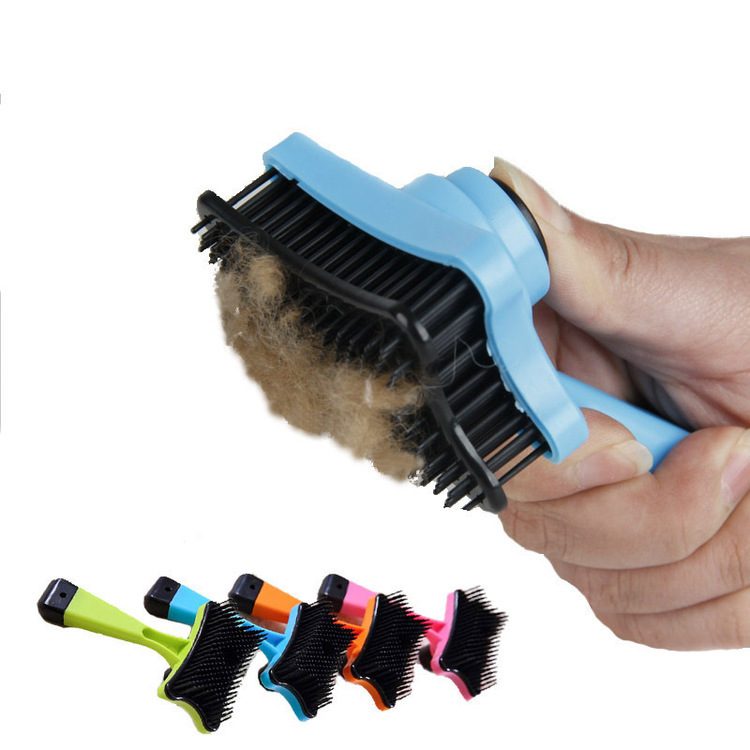 It is easily to clean making it a great giveaway at tradeshows, grooming salons, fundraisers, and much more. Custom logo can be imprinted with all colors. 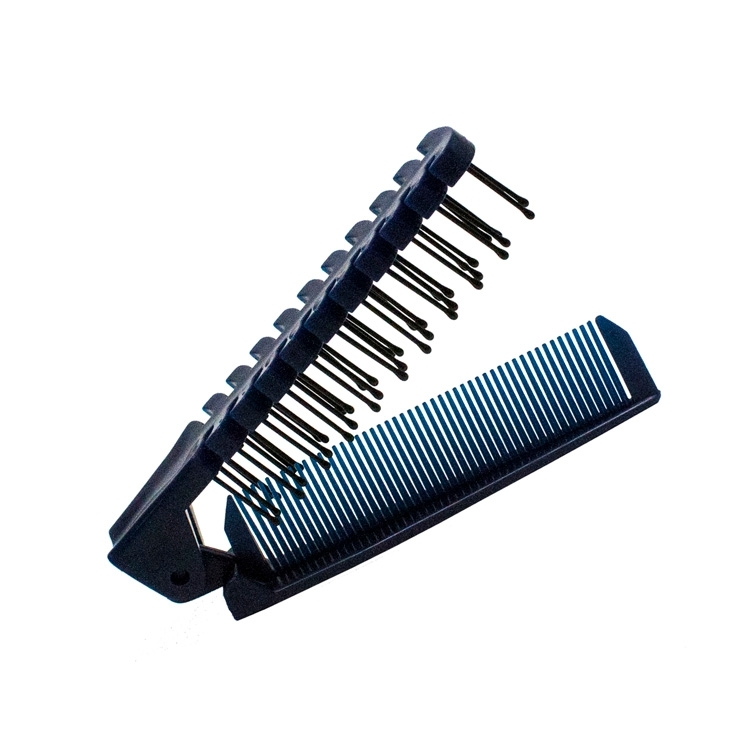 This curl comb is made of ABS. 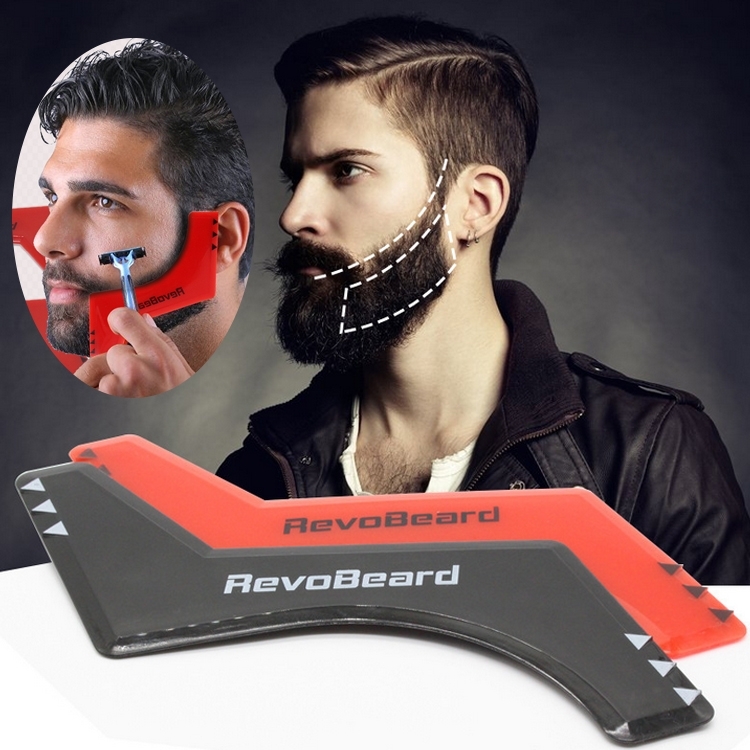 It allows you to easily manage hair at home. Custom logo is available. It is a great way for promotion to women. The handle made by plastic, the needle made by stainless steel. 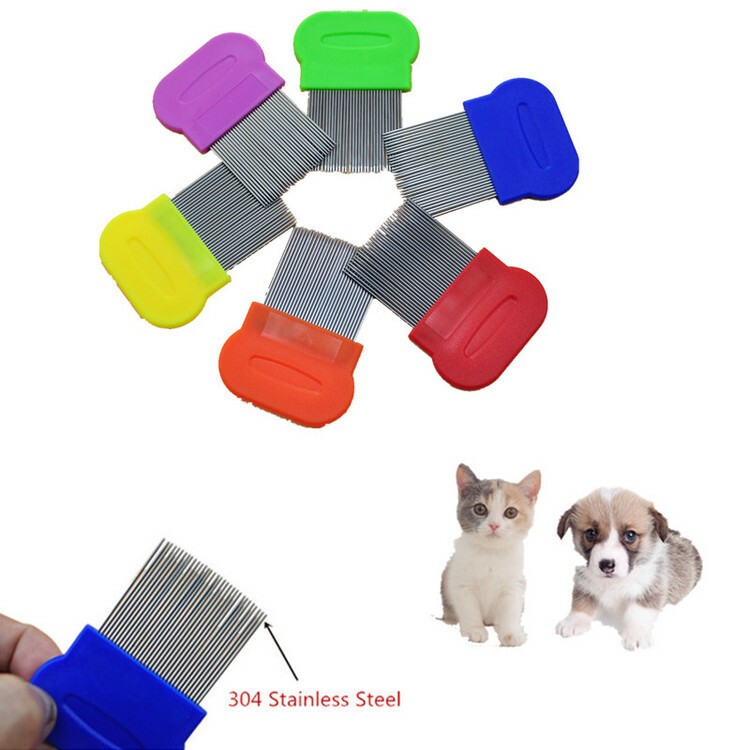 Dull needle designed which will not heart your pets but will protect it from flea. Steel needles are thick enough to remove fleas from pet hair. The parts of draw point are elastic and will not bond after use, small and easy to carry. 3 9/16" x 1 3/4"
Folding And Portable Plastic Mirror And Comb. Flow line shape, compact, lightweight, foldable and easy to carry. 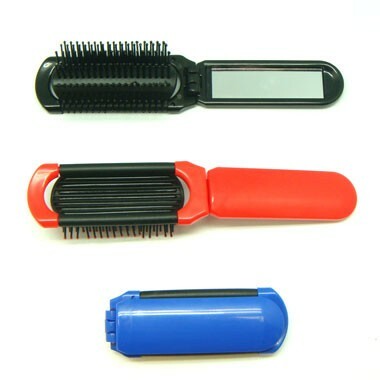 Open a small built in long mirror combing convenience, ease of use, real home travel necessary product! 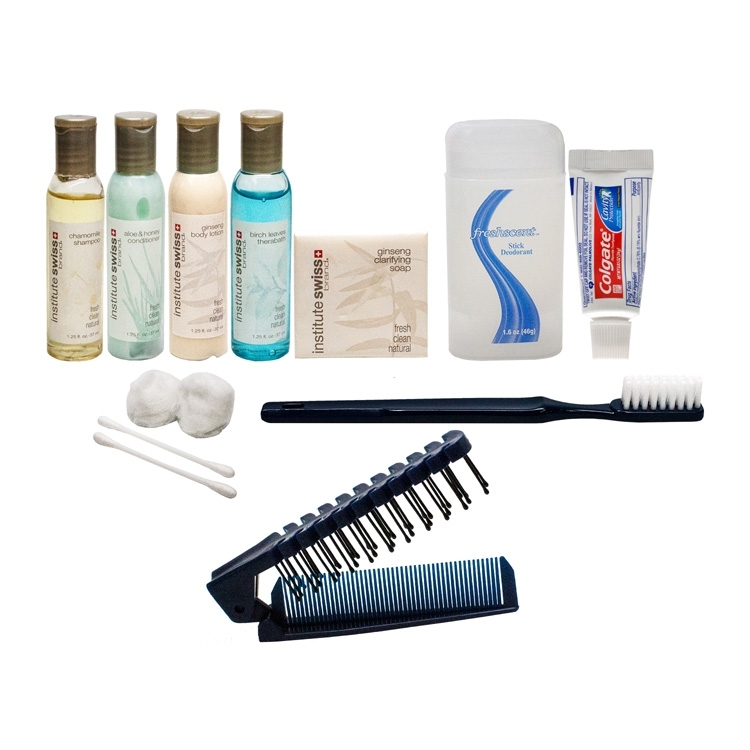 Amenity group includes: Institute Swiss foam bath, shampoo, conditioner, lotion, clarifying bar, Whispermint mouthwash, toothbrush, Colgate toothpaste tube, Dove deodorant, brush/comb combination, q-tips and cotton balls. 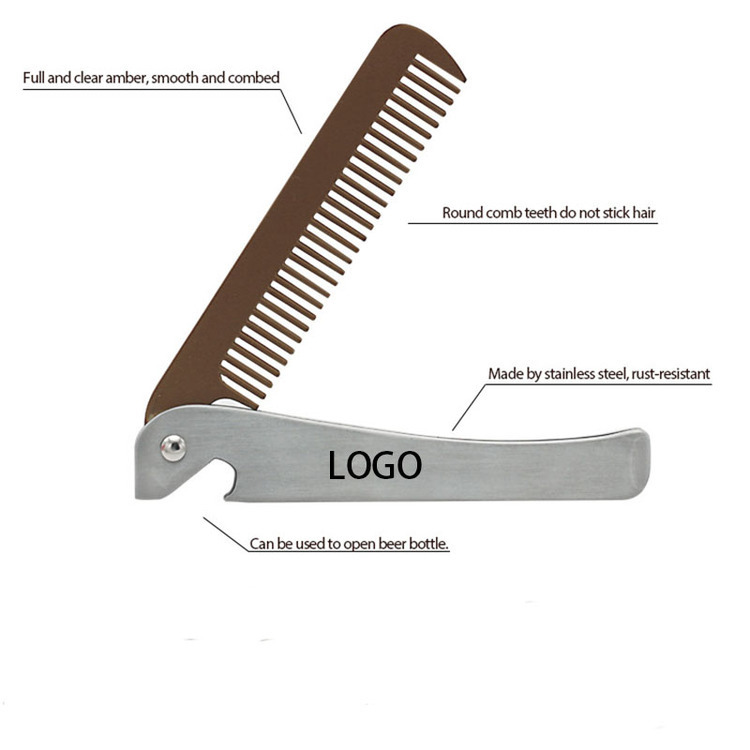 Brush up your company's image with this handy pick comb! 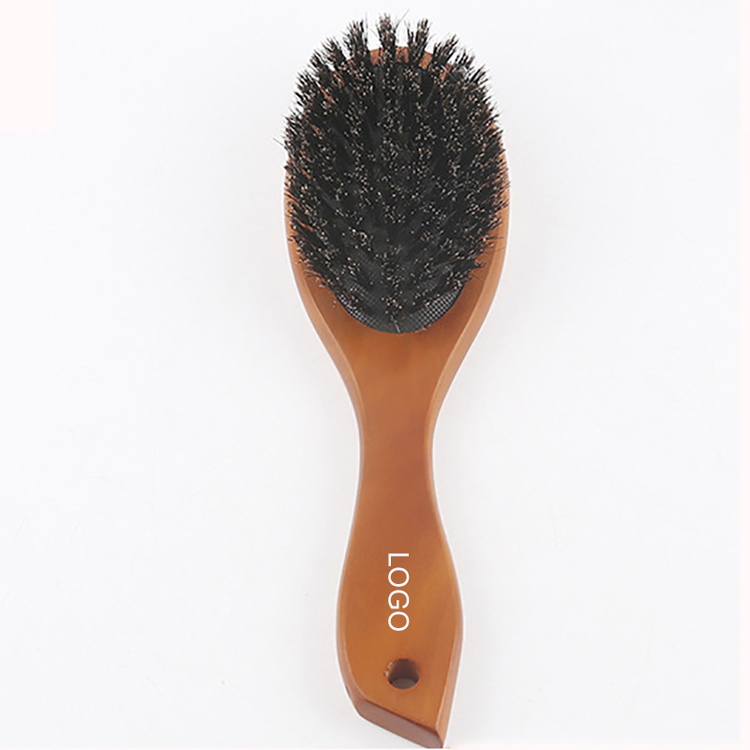 This slim brush can easily fit in any pocket, purse or glove compartment, and is perfect for quick hair touch ups. 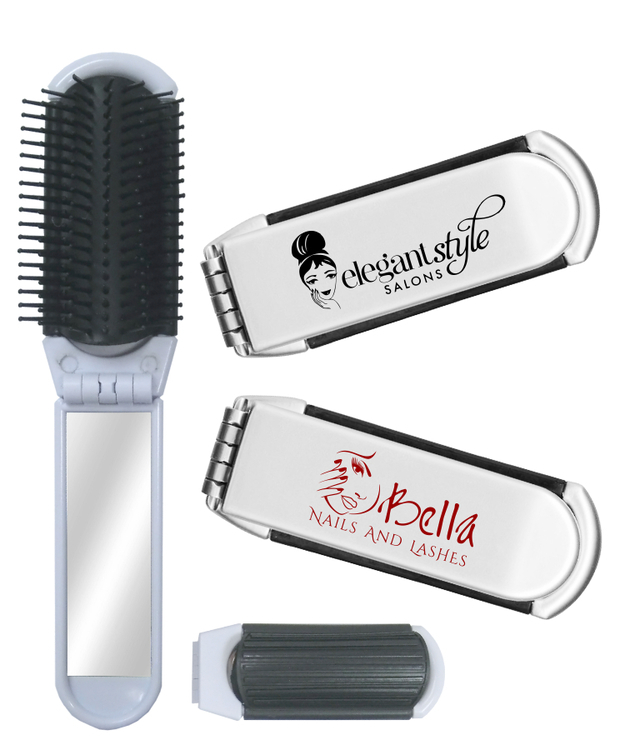 Makes a great promotional gift idea for salons, beauty conventions or fashion shows! Customize with your choice from 3 colors and a pad print imprint to promote your next beauty themed project or event! 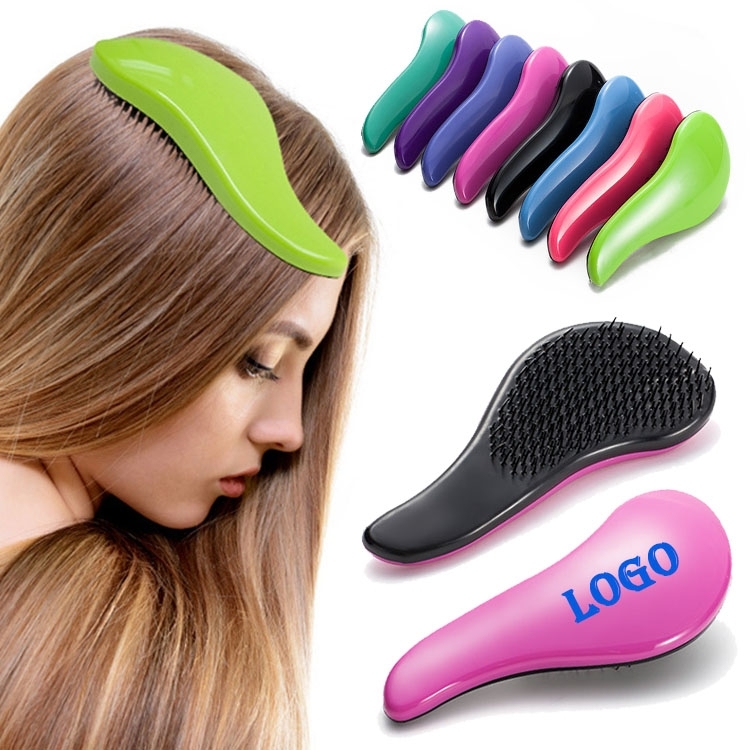 This Massage Comb Tangle Teezer Hair Brush is made of TPEE. 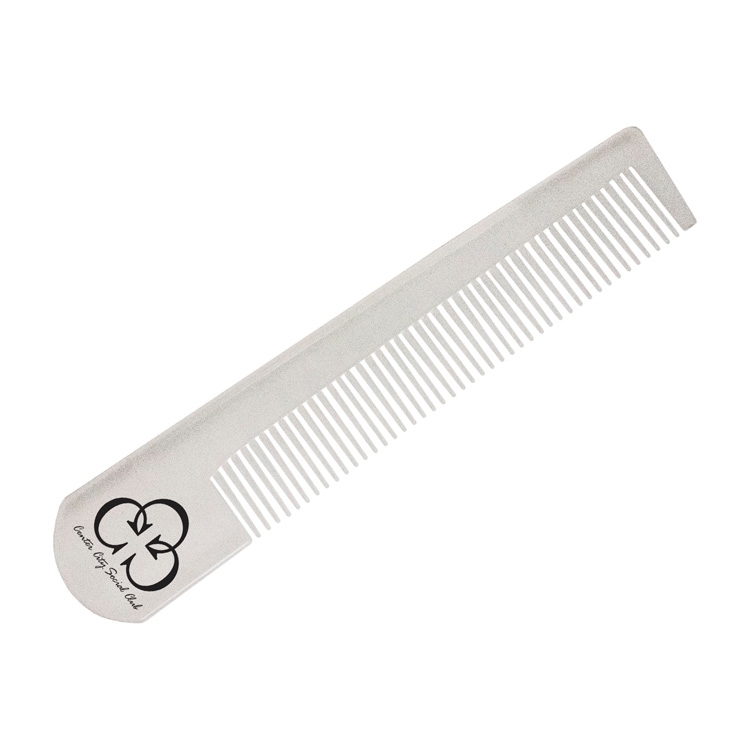 It can prevent static electricity, with special material made of soft tooth comb can massage the scalp hair follicles, help grow healthy hair. 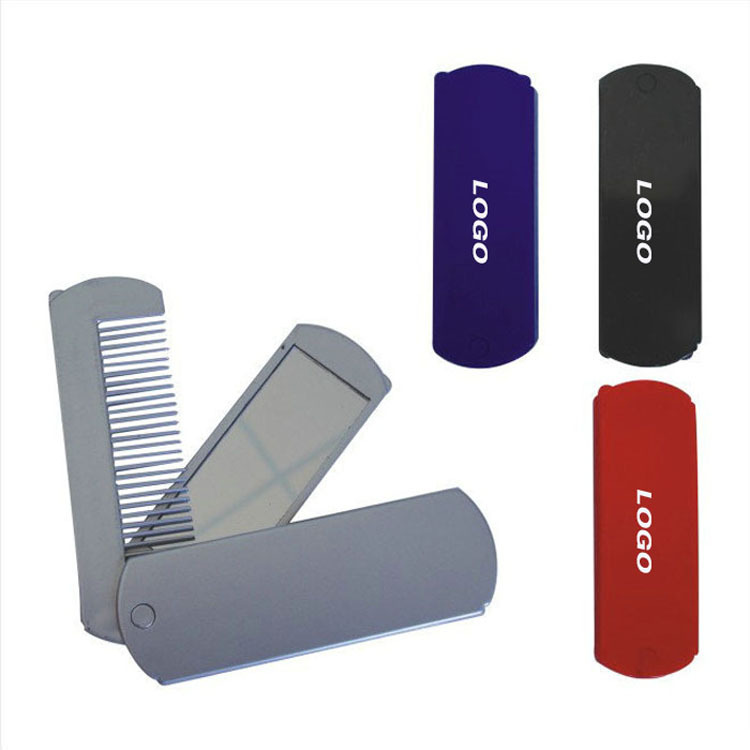 This portable comb is small in size, convenient to carry. Ideal for stimulating your scalp and increase its blood flow. 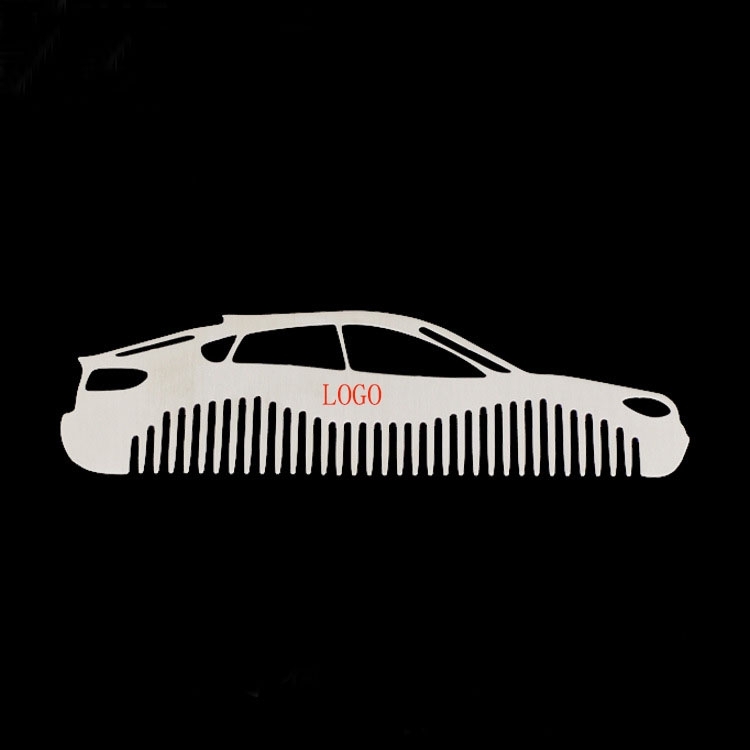 Your logo can be printed on it to promote your brand.